Giant orbital cities are being shown off in two new Eve Online’s Citadels trailers fresh from EVE Fanfest. Do you think our list of PC’s best space games is missing anything essential? 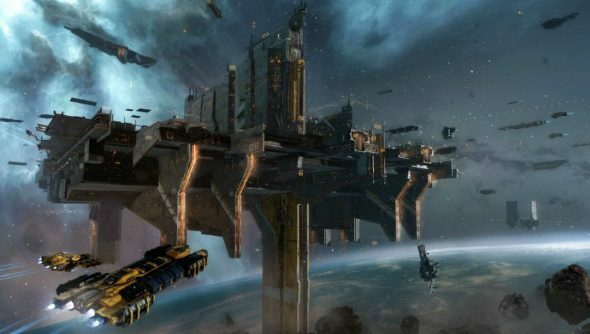 Eve Online is adding massive, player-built citadels that can act as a base of operations for your empire, as well as being a big old target for enemy factions. These orbital stations are said to be packed with features, too: with over 100 new modules, force auxiliary support ships, player-controlled markets and explosive capital superweapons which aim to “raise the bar on empire building and territorial control in massively multiplayer online gaming”. The Eve Online: Citadel expansion arrives on April 27.